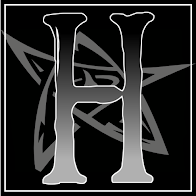 For those who may have missed the start of this article series (you can catch up from the Article Archive tab above), I'm currently working my way through a project to create a Mercenary army for Privateer Press' Warmachine tabletop system based on the BioShock videogame series. 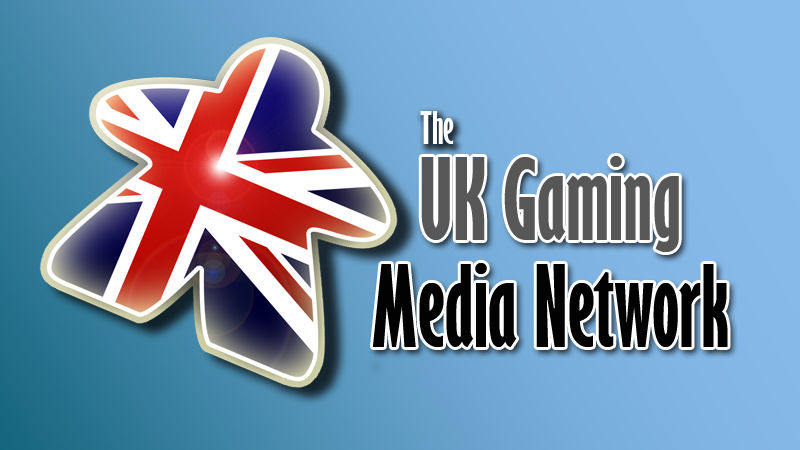 Seeing as this is quite an ambitious project, and one which will require a fair amount of conversion and artistic license, I've decided to chronicle this project from start to finish. In the last article we looked at the creation of Booker DeWitt - the protagonist from BioShock Infinite and the army's warcaster. In this article we'll be stepping away from the floating city of Columbia and heading beneath the waves to Rapture, the setting of the first two games in the series. 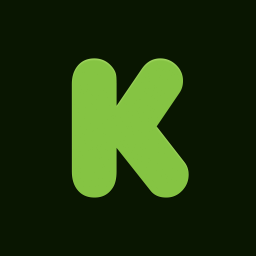 Before I start to go into the creation of today's miniature, I'll just quickly address something about BioShock 2. It is, unquestionably, the game that divides fans of the series. Some think it's terrible, some love it. At the end of the day, this is a tabletop blog and not a videogame blog, so I won't be delving into the details of whether it was a good game. All I'll say is I thoroughly enjoyed playing it, and just leave it at that. 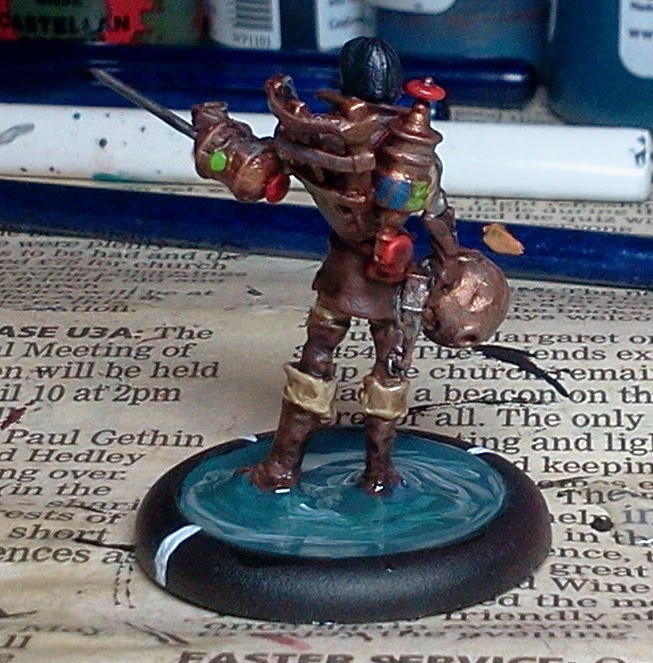 When this BioShock project first started out, there were just a handful of characters from the games which I wanted to bring to life in 30mm form - ironically Booker DeWitt was not amongst them! Elizabeth Commstock from BioShock Infinite was one, a Big Daddy and Little Sister from BioShock were two more, and one of the Big Sisters from BioShock 2 was the last. The Little Sisters from the first game became one of the most iconic images in modern videogame history. One of the things I loved about the sequel was that it took place a few years after the original, and so we got to see what happened to these little monsters when they grew up. Being a big fan of the series I had a copy of the artbook on-hand, so had not only plenty of images to work from, but also the designers' notes as well. The Big Sisters never quite became as iconic as the Big Daddy/Little Sister pairing from the first game, but still I found the idea behind them quite fascinating. Their design was based upon the idea that these little girls had grown up into young women, and in their own way were trying to emulate their Big Daddies. Unlike the Big Daddies, however, which were specifically designed during the heights of Rapture, the Big Sisters were left to cobble together their own outfits, effectively attempting to recreate the Big Daddy look with whatever they could scrounge from the now-derelict city. Now, whilst Booker was undoubtedly the most important model in the army, he was still a relatively simple build. His skyhook may have required a bit of finesse, but the Lucas McCabe model at his core already had most of the work done for me. With the Big Sister, things were going to be a little more of a challenge, as I really couldn't think of a model which came close to fitting the profile! 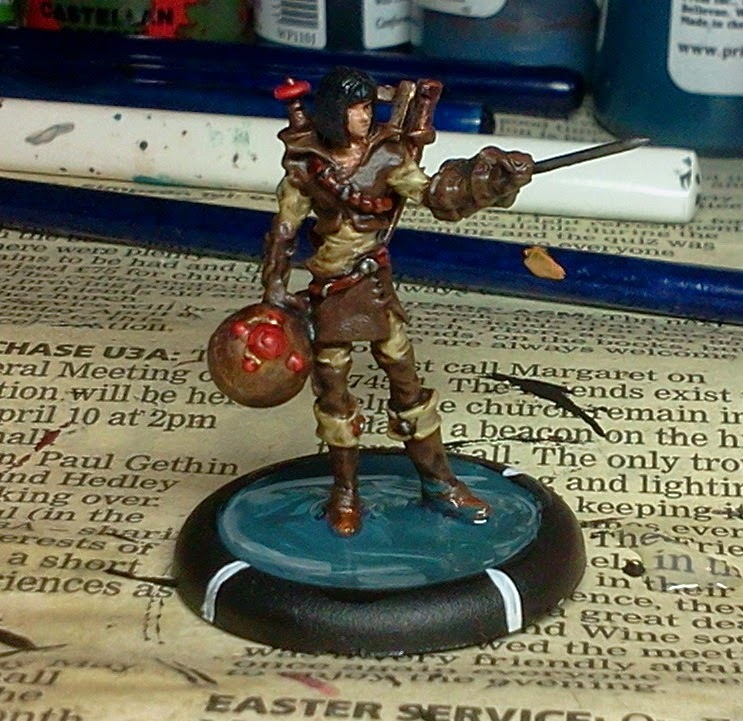 As usual, it was off to the Malifaux shelves to try and find something to use a starting point. One of the things about Malifaux models in general is that they're more realistically scaled, as opposed to many systems which have exaggerated heads/hands etc. to emphasise certain elements of the model. Seeing as the Big Sister is quite an emaciated figure, Malifaux did seem the best bet for a suitably slim female miniature. After a bit of searching, it seemed that the best model to use as a base was to be Rusty Alyce from the old metal Leviticus crew (most of the Malifaux box sets have been rereleased as plastics at this point). 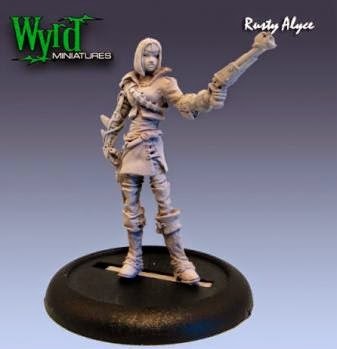 I should point out now that if you do a Google image search for "Malifaux Rusty Alyce" you'll actually find a much better Big Sister conversion than mine! 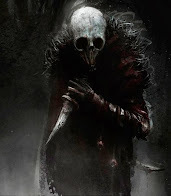 But I'm still very much a conversion beginner, so I'm happy enough with my outcome... I can always try again in a couple of years! It was whilst looking at how to convert her that the idea came up to make her into more than just a regular Big Sister. 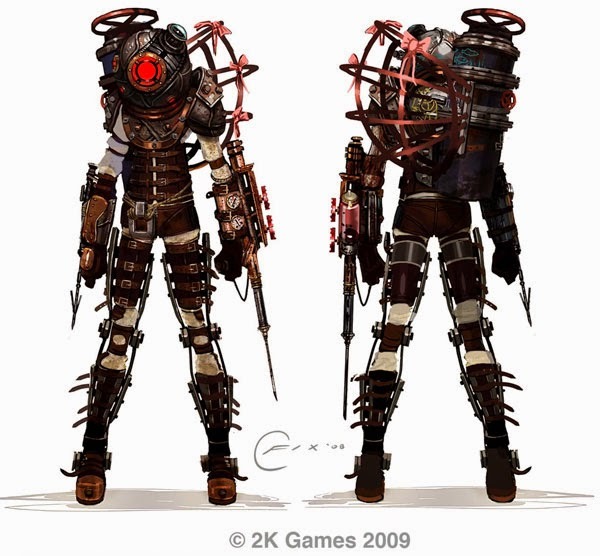 In BioShock 2 the player takes on the role of Delta - a Big Daddy who is trying to be reunited with the Little Sister who was taken from him. It's not as gripping and heart-wrenching as the Booker/Elizabeth relationship from Infinite, but still made for a good gaming experience. The Little Sister in question was a girl named Eleanor Lamb, and towards the end of the game, circumstances force her to become a Big Sister. She's the only Big Sister who the player ever sees without her helmet on, so I thought it'd be a nice idea to turn Rusty Alyce into the Big Sister version of Eleanor, rather than a generic Big Sister. Seeing as the plan was to use her as Dirty Meg on the tabletop anyway this worked quite nicely, as she could jack marshal a warjack which could be modelled after her Delta. With the base model chosen, it was time to start turning her into a Big Sister. As with the Big Daddies, the most distinctive part of the Big Sister is the helmet. My original plan was to use an Attunement Servitor from the Convergence of Cyriss faction in Warmachine, but after opening up a blister of these I found them to be far too big. Fortunately I was able to return these, but on the downside I ended up picking up something much more expensive in its place! The M&SU crew from Malifaux contains Arachnid Swarms, which served perfectly as Big Sister helmets. 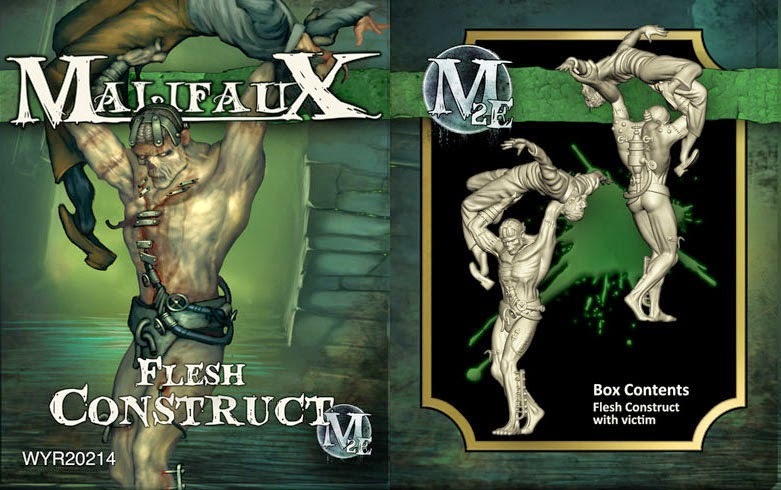 Seeing as I only needed the one though, the majority of the box set was left in tact, meaning I can still assemble and use it as a Malifaux crew if I so wish! With the helmet chosen, I just wanted to concentrate on the oxygen tank and basket on Eleanor's back, and the large, forearm-mounted syringe on her left arm. For the syringe I went back to the M&SU box, and took a part from the Joss model - the tank shown on the lower-right part of the sprue below. Obviously the cable had to go, so I clipped it off, drilled a small hole in its place, and glued in a shortened sewing pin to finish the weapon. Then I just filed it down a little to fit more snugly against Rusty Alyce's arm, glued it in place, and then used a little bit of Green Stuff to make it a more seamless fit. This just left the oxygen tank and basket on her back, so for the oxygen tank it was back to the world of Malifaux, though this time it was for a new release! The Flesh Construct had literally just arrived in at Titan Games on the day I was building Eleanor, which was an absolute stroke of luck. I don't have a sprue photo for this one (as with Booker, Eleanor was done before the idea for this series was suggested), but you can see the syringe-like container on the back of the Construct from the box photo. Seeing as the Flesh Construct is so much bigger than Rusty Alyce this was actually a very good size, and so with a little bit of trimming it served the purpose of Eleanor's oxygen tank. The rest of the Flesh Construct won't be going to waste, as he'll be taking on the role of another BioShock character, but I'll leave you to guess which one for now. This only left the basket, but with no suitable alternatives in any system, this was just built manually using thinly-sliced strips of plasticard. As I said before, she's not the best Rusty Alyce/Eleanor Lamb conversion I've ever seen, but I'm satisfied that she met the designer's goal of "cobbled together Big-Daddy-esque outfit".